Offered for sale is a 1998 Chipper Jones game used bat. This blond Adirondack gamer has been reviewed, authenticated and graded by PSA at a 9.5. The bat shows outstanding use and is uncracked. There is some grain separation on the back of the barrel from repeated contact. The bat was signed by chipper and was also dated at the time of the signing.  PSA letter reads: Rawlings model MS20 Chipper Jones professional model bat is un-cracked and exhibits evidence of outstanding use. Many ball marks and ball stich marks impressions are visible on the right, left and back barrel. Ball marks include black ink transfers. Also visible on the bat are blue bat rack streaks and streaks from contact with other bats. There is a moderate coat of pine tar on the lower handle. The model number (MS20), order number (165) and year (98) are stamped into the knob. The weight '33 1/2' and 'Jones' are written on the knob in blue ink. 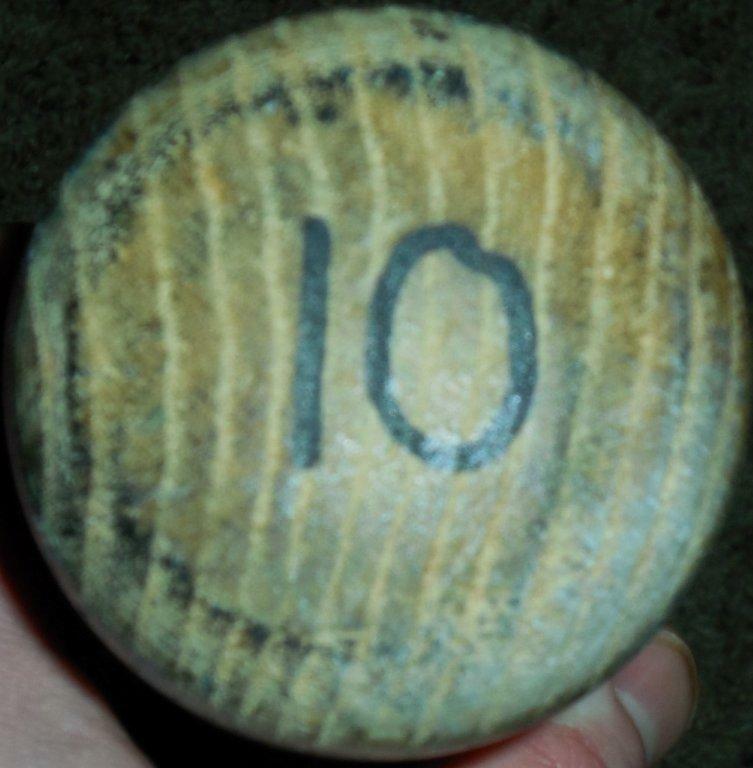 Jones' number (10) is written on the knob and top barrel in black marker. 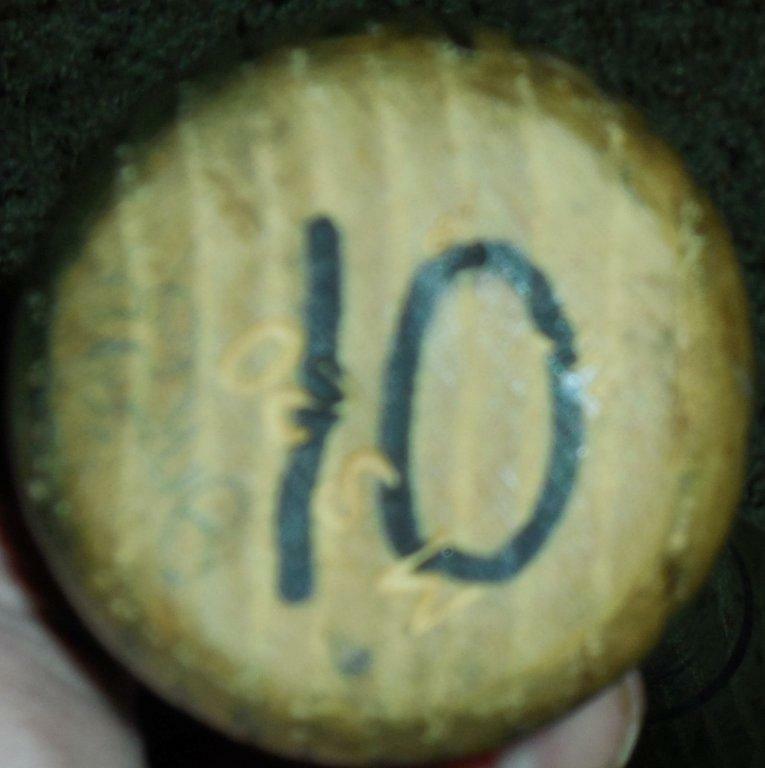 A Chipper Jones signature, his number (10) and the added inscription '3-11-99' are on the front barrel in blue maker.